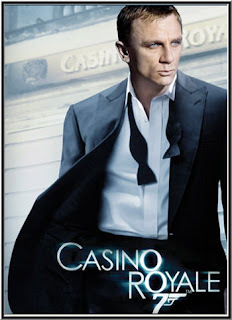 I made a promise to start writing the segment after I finished each of the books and I'm only one day off for this post but I'm ready to begin with the first book in the series: Casino Royale. For those who are unfamiliar with the concept, I'm going to read every Bond book that has a corresponding movie in publication order then write a post comparing how I felt watching the movie after reading the book. It's great to know both points-of-view from the character in the story so let's begin with the first book. The Story (novel): James Bond and his allies, Felix Leiter, Mathis and Vesper Lynd are brought to the casino at Royale to play a high-rollers game of baccarat to make certain that SMERSH operative Le Chiffre doesn't regain the funds he stole from the evil organization. The Story (movie): Newly appointed double-o MI6 operative James Bond is on the hunt to uncover the inner-workings of a network of bomb makers and profiteers. His main mission is to play in the millionaire poker match in Montenegro and win the tournament so that the sinister Le Chiffre would not be able to repay his debts. Also by Bond's side is crime-adviser Mathis, CIA operative Felix Leiter and "the money" Vesper Lynd. I prepared myself for reading this book by realizing that the time era that each story took place is vastly different. The movie is more closely linked to our life right now so it's easier to fall into that setting compared to the book. I understand....different time, different mentality. However, sometimes it took me out of the scene and thought that "nobody would every say this nowadays." The personality of the characters were different. I felt Mathis and Felix were timeless and easy to relate between both the movie and the book but Bond and Vesper were the biggest surprises; Vesper in general. 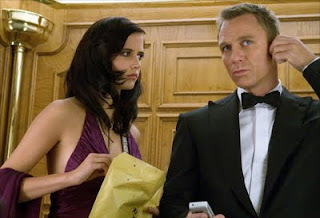 In the movie, Vesper is sarcastic, sly and holds her own against Bond while in the book, she's docile and silent a couple of times throughout the beginning and middle portions. Bond was different. He had the suave nature that defined his character yet the biggest shocker was how quick in the book he wanted to marry Vesper. For only knowing someone barely under a month, Bond was ready to make the commitment which felt weird and out-of-character but two excuses can explain this: 1) the times and 2) it was the first book. I'm familiar with the rules of baccarat so it didn't cause any confusion when Fleming tried to explain the game in the novel. 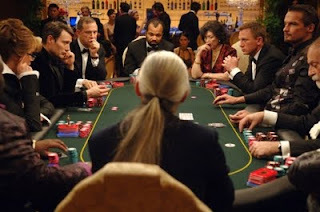 Adapting it to modern times with poker in the movie, I think, was a way more viewers to be captivated in the story and create the familiarity with possible experiences playing a poker game. One thing that I did love about the book is the the character development and providing the reader with more information regarding the other players in the tournament. I felt like I got an understanding of who else was in the scene when Bond was trying to beat Le Chiffre while in the movie, I only new who three of the players were while the others remained anonymous. The book was good. It had its moments and I really enjoyed reading about Bond's adventures through the entire card game climax. In terms of story, the movie gave more in terms of character dialogue, scenes, a defined plot and presentation. Both pieces of work are very beautifully done and each have their pros and cons. I just felt that after reading the book and then re-watching the movie, I was more absorbed in Vesper's betrayal and Bond's mission in the movie than the book. The novel wanted the reader to be sympathetic and feel for the characters but the movie created the atmosphere to bring the viewer along in this romance that self-imploded in a cataclysmic finale. Overall, both are definitely worth the time to watch and read but if I had to choose one then my preference would be towards the movie. 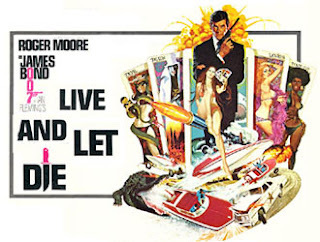 NEXT: It's time for the next book on the list and according to the time line, it should "Live and Let Die" next. Have any thoughts to share? Post your comments below or share your own feelings/review about reading the book and/or watching the movie. I would love to read what you have to say! This book is actually very interesting. 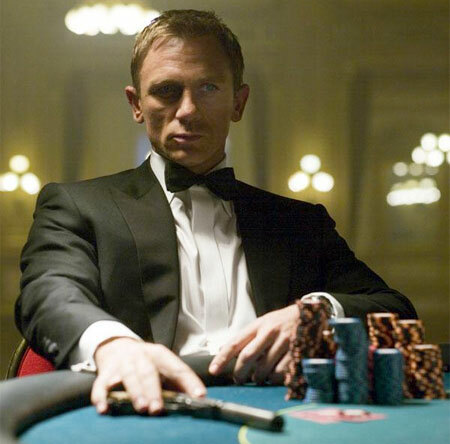 It is determining the whole of the successful story of the casino royal. I was searching for this book from long time. And It is very interesting. Yes i agree with you that this is book is very interesting.In this book there are important tips about various casino games.Thanks for sharing. Yes i agree with you that this book has many concept about various casino games.Thanks for sharing. This book is exceptional.It gives a brief idea regarding bet games and sbobetasia this is the rare one to be considered. IBCbet Keep in mind the guidelines of playing online gambling games. Every gamer has the opportunity to participate in many activities online games and all the dance. With the thirst for playing online games in full quality. For each client to have fun with a simple habit. We also have a lot of games to win online. All customers have the opportunity to play the game online with a lot of play and plenty of excitement. Every gamer you have come to choose from many services.